At birth a baby's visual limit is about 22 cm. 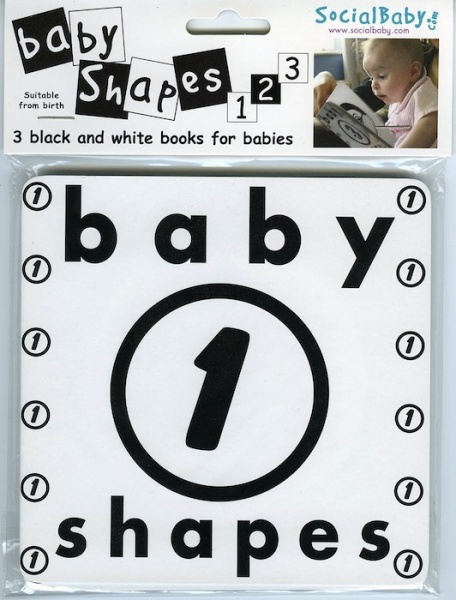 BabyShapes books 1-2-3 are created to be your newborn baby's first high contrast, black and white books. 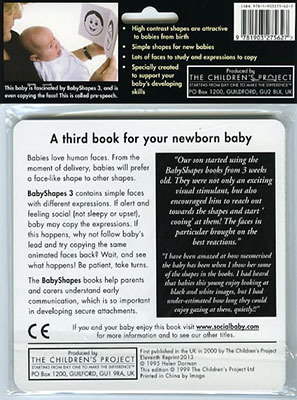 They are designed to be of interest to new babies and to help parents and carers better understand babies' early communication abilities, which is so important in developing secure attachments. These books are for a Christmas present so haven't been used yet. 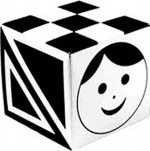 I have seen the way black and white toys stimulate my granddaughter so can't wait for her to play with them. They seem simple yet hard wearing. I am looking forward to seeing her play with them. These books are fantastic, our baby loves them and it's great to watch him taking in all the detail and smiling back at the smiley faces! 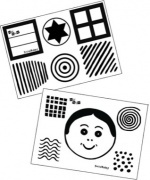 Would have preferred these as cards, but can always cut them out! Purchased to keep the little one occupied on car journey's. Dubious at first, but baby seems to be quite taken with them. Good aid for his development. The delivery was next day, very efficient. The books are fantastic and who would have thought that babies of 6 weeks pay this much attention. I've just bought these books after receiving them myself as a gift. Dubious at first, my baby (now 10 weeks old) loves looking at the pictures and even smiles at the faces. Highly recommended. I've long been convinced by using these books with young babies. They are clear and practical - parents soon catch on to their value. santa is giving this pack to the newborns in our PEEP group - a great offer, as Santa has a very limited budget. Thankyou.